This entry was posted on Mon, Aug 13th, 2018 at 11:51 pm and is filed under FFS. You can follow any responses to this entry through the RSS 2.0 feed. You can leave a response, or trackback from your own site. 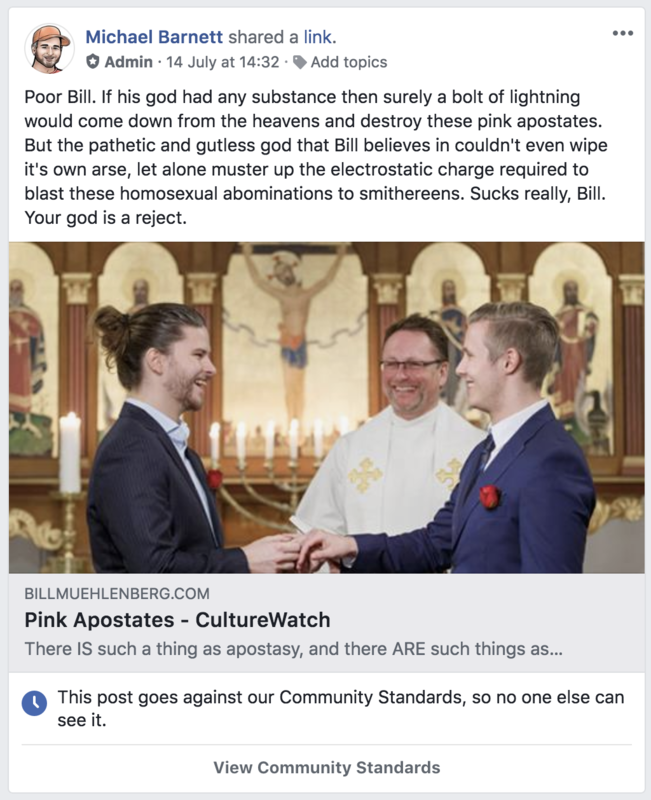 The phrase you use “blast these homosexual abominations to smithereens” could have been interpreted as hate speech against homosexuals when I am sure that you were referring to men spreading hate against homosexuality. I was referring to gay men from the perspective of Bill’s Christianity. Don’t use facebook. I don’t. Simple.